We have been making pots for over 40 years. 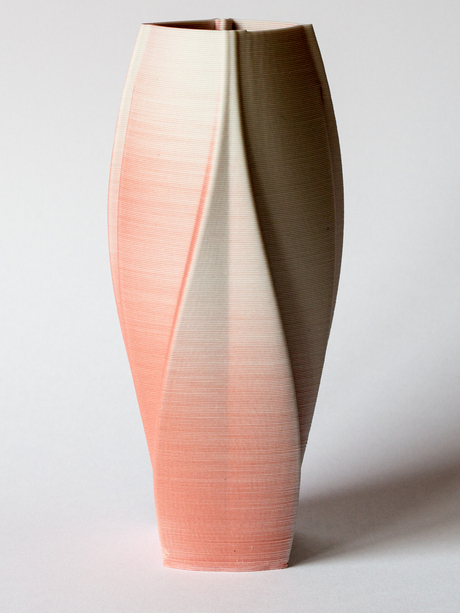 In 2014 we decided to experiment with printing clay using a 3D printer which makes it possible to create ceramic forms not achievable by other means. There were no commercial 3D printers available to do what we envisaged, so we built our first 3D printer ourselves. We are combining art, craft and technology in a new way, opening up possiblities that are fascinating to explore. Our pots start with an idea often inspired by natural forms. The idea has to be captured and developed as a digital design which is practical to print in wet clay. The printing process uses all our accumulated pottery know-how. Achieving the right consistency of clay is an art in itself. The new forms and textures we’re working with also demand new approaches to colouring, glazing and firing to make the forms come alive. We live in Cumbria, UK, at the edge of the Lake District National Park. When not printing pots we enjoy hill-walking and sailing.